Yesterday I had to go to the tack & feed store in order to get Casey some treats and while I was in there I decided that I should pick up some leather cleaner and leather conditioner to try to make my leather reins more pliable. There were a lot of different options and brands that I could pick from. Generally, leather cleaner and leather conditioner come in liquid form and so you have to use a tack sponge or a towel to apply it to your leather. That does work but I am a bit lazy when it comes to cleaning tack and so I knew that I needed to get the easiest products to use. I ended up picking Lexol Equine's Quick Wipes. They had both leather cleaner and leather conditioner quick wipes and so I got both. My local store sold each of these for $10.50 so, in total, I paid $21. 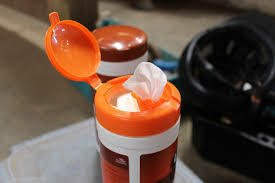 Each container comes with 25 moistened wipes. I am sure that buying the liquid form of this product would be cheaper, but the ease of the quick wipes was worth the extra money to me. The directions on the package were easy to follow and the container seems to be decently made. I purposefully stored the wipes so that they could stand up in my tack box because I am not sure if the wipes would leak at all. I did use the quick wipes on my leather reins. The leather cleaner wipes got all of the remaining tarweed sap off of my reins and the bridle. The wipes did leave behind a bit of a soapy residue on my reins because of the laced texture, but I wasn't too concerned about this because I was going to use the leather conditioner wipes after. I would avoid letting that soapy residue stay on my leather products because I worry that it would cause discoloration. 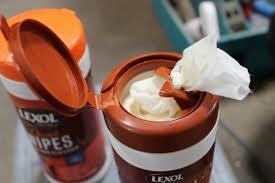 The leather conditioner quick wipes were very easy to use and had instant impact. My reins looked shiner and started to loosen up and squeak less after just one round of wiping. Since the reins were especially squeaky in the laced section I spent extra time rubbing the wipe in those areas and although it didn't completely stop the squeaking when I wiggled the reins, it did minimize it. I think that as I continue to add more conditioner the reins will loosen up even more. Although the leather conditioner wipes do have oils in them, the oils did not stick to my fingers or rub off on my clothing. The oil just stayed on the leather and made it look nice. 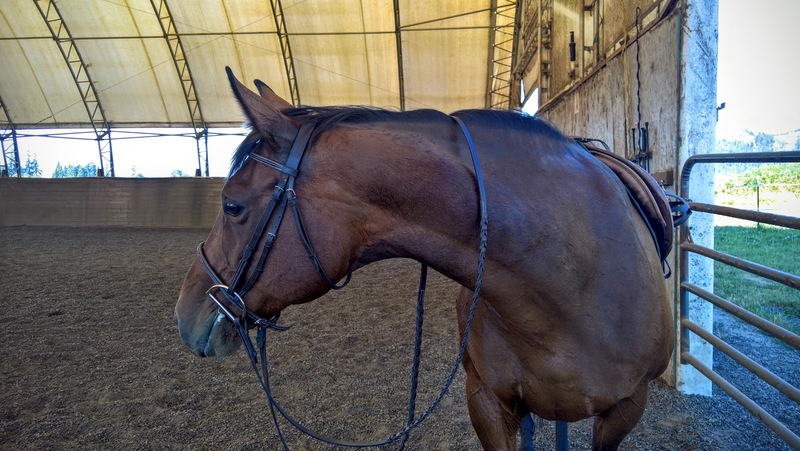 I only had to use one wipe for all of my bridle and the reins (although it was pretty done after that). When I rode with my reins today I could really tell a difference. After applying the leather conditioner they were so much easier to bend, they didn't squeak at all, and they were just a lot more comfortable to hold. In addition, the conditioner had absorbed into the leather so there was no oiliness. In addition, the product did not discolor my leather at all - it just made it shine. I really like this product. It is super easy to use and it did make a difference on my leather products. I will buy it again when I run out.